Wrong heel habits can hurt your health quite badly. Following are few friendly foot options that you can have foot friendly heels available in every style. But stress to feet and body is inevitable even with the healthiest heels and wearing heels pain free requires complete recovery from pain. Podiatrist Jacqueline Sutera advises women to wear “travelling shoes” that will protect them from the problems of such uncomfortable shoes for the whole day while heels should only be used during a party or an event. You can use happy hour, appropriate strappy pumps and dressed up brunch for this purpose. Dr. Osterman says that moderation is important for every shoe type while you can get help by having different heel heights. The following strappy heels have additional arch support along with cushioned insoles and they are quite similar to regular stiletto. Dr. Brenner says that wood is not the best component in wedges but instead shoe made with raffa or cork should be used by women as they make the base more comfortable. Apart from that, the ankle must be stabilized by having straps on heels. 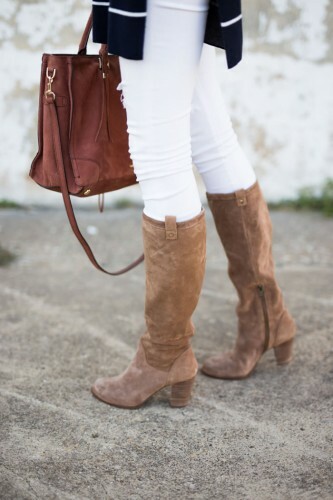 The best option is to use buckles with your shoes. 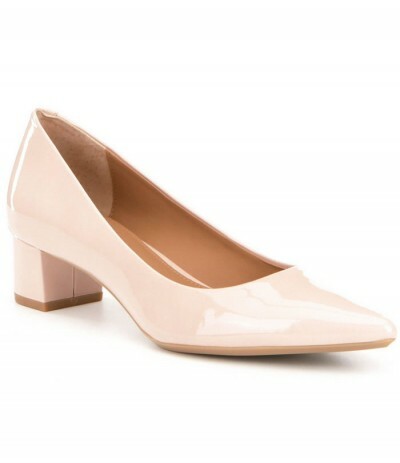 These low pumps with pink patent-leather upper are perfect for spring and summer seasons. As height of sole less than 3 inches is desirable, so these shoes are according to standards of podiatrists with around 1.5 inch height. Beyond 3 inches, the stress on foot will increase with every inch. Dr. Osterman tells that ball of the foot feel pain sue to irritation of nerves at the toe base caused by shoes without forefoot stability. But Heel Rest technology is used for construction of these pumps and ball of the foot receives less burden as body weight is distributed towards heel. 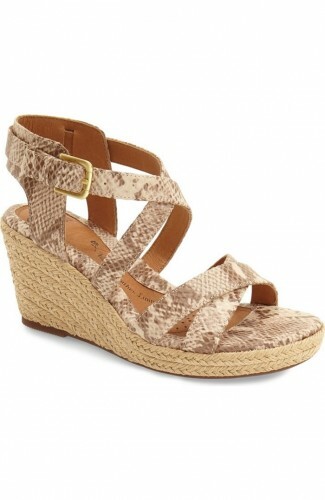 It is better to bought a shoe with material that provide some stretch as feet swell throughout the day naturally. For this purpose, suede and soft leathers are the best materials. If you want to look adorable and also feel comfortable then the midnight blue thigh-high is the best option. The healthier heels of these two tone slip-ons are due to rubber outsole and double cushioned footbed. Dr. Brenner says that people should choose a shoe with treads or rubber that helps to stand on a firm surface while leather bottoms can make people slip and slide. These comfortable shoes can be use in office and also on date nights. Dr. Splichal suggests to use shoe with wider front instead of pointed toe pumps as narrower toe box will put more pressure on the toes. Rounder shape is better. These classic T-strap heels represent the 70s while they offer a good platform. Dr. Sutera says that platforms have height in front that can balance the heel in the back.